I feel like I’m faking my entire life right now. I smile when someone smiles at me. I laugh when people make jokes, and smile kindly when appropriate. I hug and thank people for inviting me over. I smile and enjoy what I can. But Jenny catches me staring into space. I feel her eyes searching my face while I fixate on something inane. I am not present. I am not myself. I have retreated inside my head. Distance makes the world more comfortable. If nothing is real, then the pain isn’t real by default, right? I know there’s no easy answer. I know that I cannot just take a pill and be better. I have to grieve. Truly, painfully, and desperately. Grief is a strange thing. I’m hit with it at the oddest moments. It comes over me like a wave of depression. I lag behind the conversation. My memory suffers. Jenny said that it’s like I’ve got Alzheimer’s, or dementia. While the comparison is funny, I fear it. I fear losing myself. Push everyone away + keep them at a distance = nobody can hurt me. Being around people drains me. Being alone drains me. Thinking, reading, playing games, talking, hugging, smiling, caring. The drains on my fucks are legion. I find myself clinging to a couple each day, ready to spend them on Jenny and the kids. But it makes me awkward. It makes me quiet. It makes people worry that something’s wrong. Of course there’s something wrong. Part of my life is gone. I’m overwhelmed by loss and depression. I find myself at a loss for words, and emotions. Of course, most people see me smiling. They see me going to trivia parties with my wife, and they see me laughing at my pathetic attempts to people. They see me trying to fit in. They see every last bit of energy I can spend on them. Trying to be happy. Trying to enjoy myself. Trying to, well, try. While at the trivia party yesterday, I was smacked in the face with something that actually did make me happy. 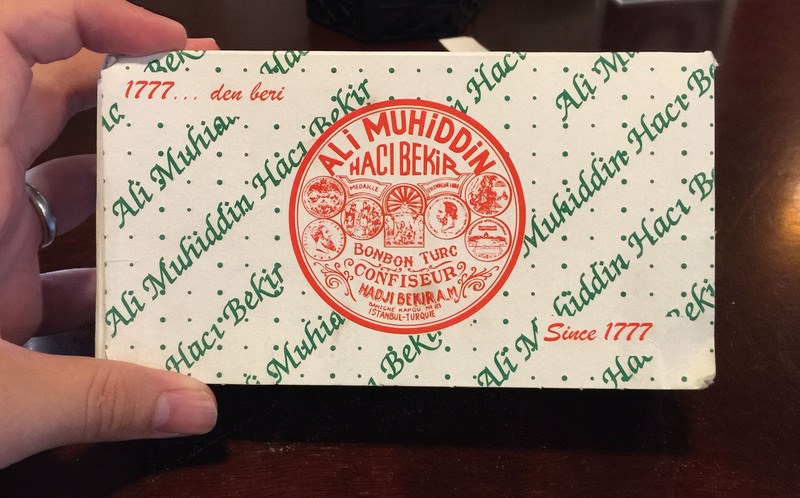 A friend set out a box of Turkish Delight. This was not just any box of Turkish Delight, though. This didn’t come from Walmart, or Kroger, or even World Market. This amazing little parcel came straight from Turkey, in the happy arms of a friend returning home. It was glorious. Pistachios, sugar, magic, and nostalgia all wrapped into one. I fell in love with Turkish Delight when I was a kid. I read The Lion, The Witch, and The Wardrobe, and found Turkish Delight in the magical lies of the White Queen. I asked my grandmother about it, and we got our fingers on some. It was the best thing ever, and eating an entire box (yes, yes, bad Rory) of Turkish Delight yesterday was just amazing. It gave me a heavy dose of fucks, which got me through the party in good spirits. Today, I challenge you to try. 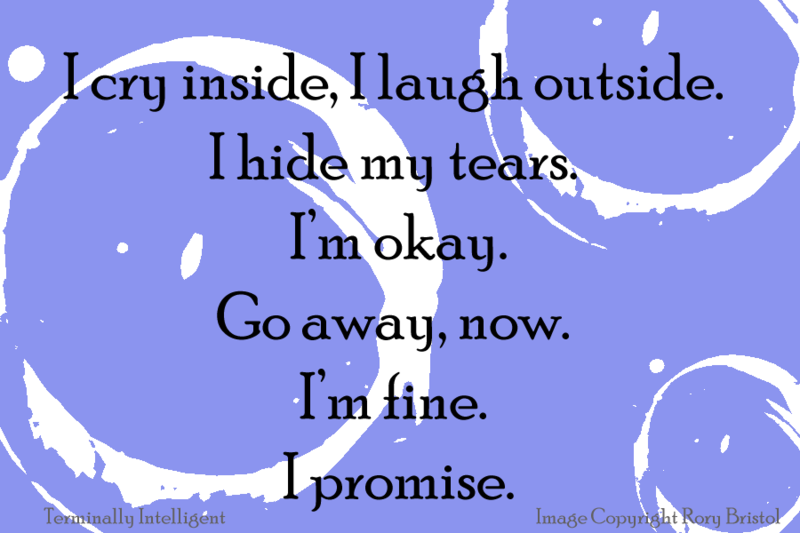 Hide behind a smile if you have to. I did it all day, but I’m glad I did. And I found something amazing in there. I found a little bit of “me” out and about. Life is made of those moments. Now, I’m not saying I’ll get out of my pajamas today. Yesterday was enough for one weekend, thanks. But you? You got this.